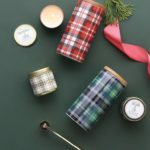 HOLIDAY GIFT GUIDE: Gifts for a Cozy Home! 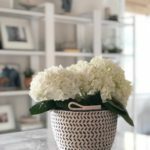 What are some items that would make all of our homes a little more “hygge”? Candles? Plants? Mugs? Slippers? The “Cozy Home” Gift Guide covers everyone from friends and family, to gifts for the hostess with the mostest! Designed in Maine and woven in the United Kingdom, this cozy lambswool wearable wrap is an instant classic for anyone’s wardrobe! Available at Bliss Boutiques! 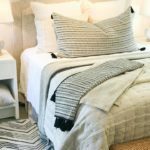 Summer House’s beautiful selection of cozy bedding and pillows will keep those on your holiday shopping list warm and cozy all winter long! Choose from a variety of styles at this Rye, New Hampshire shop. 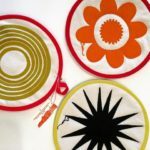 Designed, hand-printed, and carefully sewn in Maine, Erin Flett’s bright and colorful Pot Holders will instantly make you smile when pulling treats out of the oven! Looking for a unique accent for the table? Sewcialite’s rope vase is hand-woven with decorated detail and truly one-of-a-kind! It’s amazing what a set of pillows can do to transform a room. 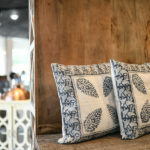 Gift someone you love with a pair of unique and interesting pillows from Muse Boutique’s beautiful selection! Original art prints from Cape Cod artist Michael Dubois are available in two sizes at Farm + Table. Recycled barn wood frames are available for a complete presentation! 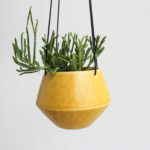 Add some plant life to your home with this textured Pinched Hanging Planter from Maine Artist Elizabeth Benotti. Hang it from a hook on a wall, window, or ceiling, and mix and match colors and sizes to create your own unique plant medley! 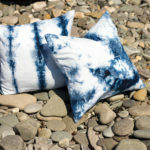 Select from two designs of indigo Hand-Dyed Pillows from local artist Ori Shibori! Washable, locally-made, and coastal-chic! 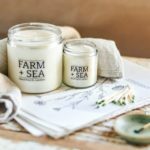 A holiday must-have—FARM + SEA’s small-batch “Fir Tree” candles and diffusers (made in Newburyport, Massachusetts) are a year-round best-seller at Farm + Table! 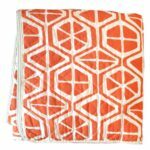 A top-quality canvas throw that will add a pop of color to any space—bring it to the beach or to the park for a summer picnic! A gift with a personal, meaningful connection that will last a lifetime? Check!! 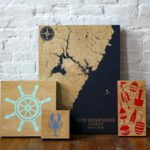 Browse Benoit’s Design Co.’s selection of wall art (with over 500 maps from the U.S.!) that can be personalized! Each lobster rope doormat created at Stern Lines tells a story as unique as its recycled ropes. 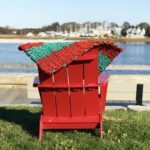 What arrives at your doorstep is a one-of-a-kind product made of material used by local lobstermen just a few weeks prior! 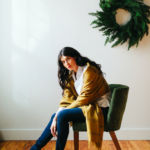 Cozy up by the fire or spend hours snuggling in bed on a snowy winter night… This cozy-chic cover up from Wheat will keep you warm and toasty all year-long! 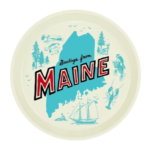 This Retro Maine Tray is perfect for the Maine enthusiast! Custom made and sold exclusively at Daytrip Society. 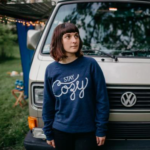 Stay cozy this winter in the original “Stay Cozy” Crew Neck Fleece from Hills & Trails! Perfect for bundling up near the fire. 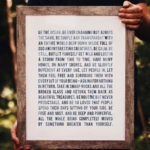 Screenprinted with eco-friendly ink and made in Maine! 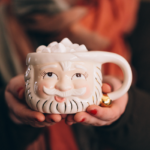 Celebrate the holiday season with this jolly Santa mug from Gus & Ruby Letterpress! 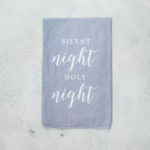 The simple and sweet design on Salt & Groves “Oyster Pearl Holiday Tea Towel” is both decorative and functional—cheers to a cozy and festive kitchen addition this holiday season! Is there anything better than the smell of fir and pine during the holidays? 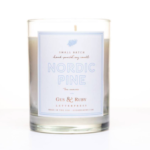 A thoughtful gift, this beautifully-scented Nordic Pine Candle from Gus & Ruby Letterpress will fill any space with winter joy! Erin Flett’s (limited edition!) 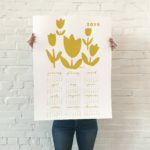 Tulip Calendar adds year-round happiness to any home or office! Hand-printed in Maine. Remember the warmest moments of your life as you fill your home with the scents of the season. Five varieties of fragrances with tartan plaid-accented containers are available at BARE Waxing Boutique! 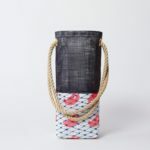 Inspired by a lobsterman’s bait bag, Alaina Marie’s Wine Tote was created using the same marine grade material. Durable, yet ultra chic, this wine carrier is ready for wherever life takes you, and makes a beautiful hostess gift! 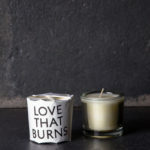 Fill the little nooks and crannies of your home with these sweet “Love That Burns” Candles from Flower Kiosk! Set your hot chocolate on these beautiful coasters that are inspired by a Seacoast native’s paintings! 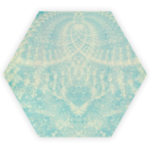 Merinda Mandala. Cozy up by the fire and spend time with loved ones putting a puzzle together! 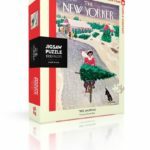 We love this vintage snow scene puzzle from Diversions Puzzles & Games!